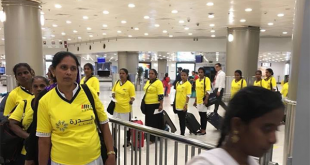 KUWAIT CITY, April 14: The Kuwaiti Federation of Home Office Employers affirmed the domestic workers crisis continues but there are no new demands for recruitment before Ramadan, reports Al- Rai daily. 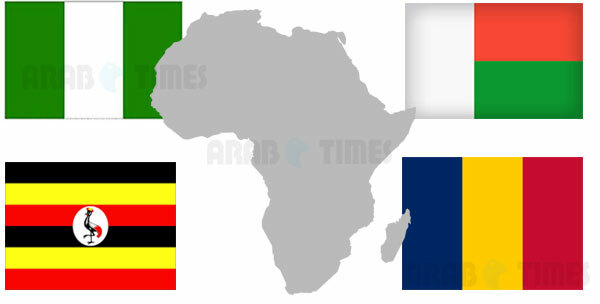 It added the ball is now in government’s court to save the situation by expediting the recruitment of domestic workers from Nigeria, Madagascar, Uganda and Chad where domestic workers will arrive within 10 days, indicating workers from the aforementioned countries are educated, fluent in English language and affordable to hire. Head of the Federation, Khalid al- Dakhnan, during a press conference stressed the domestic labor recruitment offices have borne the blunders of government for not assessing the situation since Indonesia stopped sending its workers amid failure to sign new agreements until the recruitment of Filipino workers was suspended, causing each domestic recruitment office to lose sums ranging from 20 to 80 thousand dinars during the period — as the recruitment of manpower dropped by four to six thousand per month. For his part, the official spokesman and secretary general of the Federation Ali Shamouh said the sector and domestic office owners have endured a period of fierce criticism and defamation campaigns accusing them of monopoly and igniting crisis with the aim of mounting pressure on concerned authorities as the holy month of Ramadan approaches. He maintained the Federation will not hesitate to resort to the Kuwaiti judiciary if any person damages the reputation of the offices or spreads false charges against them. 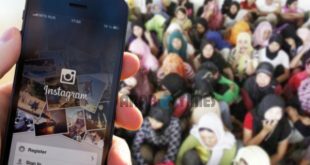 Regarding the decision of the Ministry of Commerce to withdraw the licenses of 116 domestic workers recruitment offices, Shamouh explained the licenses were canceled because the owners of those offices have exceeded the legal age of 70 while some offices are unable to pay the guarantee of 40 thousand dinars, contrary to rumors that cancellation was due to violations. 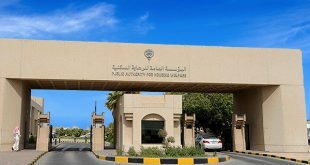 He added the ceiling of 990 dinars for recruiting domestic workers as decided by the Ministry of Commerce can be applied to African labor but not the foreign offices in Asian countries, which may prefer many Gulf countries with higher prices. He indicated the need to reconsider the decision in light of the current crisis in the market. He added the Federation and the recruitment offices did not reject the decision of the ministry but referred it to foreign offices in the labor-exporting countries, which in return rejected the new prices, because they are not bound by the decision in their respective countries. He noted the countries in question did not stop sending their workers to Kuwait after the decision but sent requests to other countries with higher prices, resulting in fewer recruitment requests in Kuwait. He also attributed the real reason behind the crisis of low recruitment requests to the delay of concerned authorities in signing memoranda of understanding with the labor-exporting countries and not seeking alternative options or implementing the demands of those countries to expedite measures in addressing the crisis by creating a competitive market to reduce cost, and availability of other alternatives. He reiterated the Federation and the owners of offices have repeatedly declared that the establishment of Al-Durra Government Company is not the right solution to the crisis amid reluctance of the labor-exporting countries to send their workers to Kuwait. He also pointed out that the Federation has presented many proposals and radical solutions that may contribute significantly to resolving the crisis, but to no avail. ■ Lifting of the ban and opening new outlets through the signing of memoranda of understanding with more countries exporting domestic labor. ■ Establishing a fast track court to look into domestic employment cases. ■ Exploiting the presence of Kuwaiti embassies in the domestic workers exporting countries and appointing a labor consul to solve the problems the office representatives in those countries face. 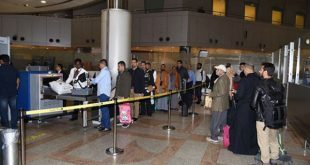 ■ The Ministry of Interior requiring the sponsor and the worker to obtain clearance before traveling. ■ Transforming the Department of Home Employment into a civilian body headed by the Public Authority for Manpower in its capacity as the body responsible for regulating the labor market and with membership of representatives from concerned authorities. Meanwhile, commenting on the proposal submitted by Direct Investment Promotion Authority to the Council of Ministers to open domestic workers recruitment offices owned 100 percent by foreign companies, Secretary General of the Kuwaiti Federation of Home Office Employers Ali Shamouh said. Such proposal is neither in the interest of Kuwait nor the domestic labor file, and it’s practically the same as the decision to establish the government company (Al-Durra) but more serious in its consequences, reports Al-Anba daily. Shamouh explained that foreign investors in the labor-exporting countries will not work in Kuwait until they impose conditions that are dear to the state to it difficult in backing out after application. He suggested opening Kuwaiti offices in the labor-exporting countries, noting the step will contribute significantly to reduce the mediator role, and open international outlets and markets for Kuwaitis abroad. In addition to material losses to be incurred by the state if such a decision is implemented, it will open the door wide to the so-called “table tenants” in some Kuwaiti offices and encourage workers to escape to be employed in other houses illegally and contribute to increase the rate of crimes and cases of absconding with all its negative effects on citizens, he added. He also said concerned Kuwaiti authorities are not cooperating with the Federation and ignore advice from specialists experienced in this field for over 30 years.